it's no secret that we love to bake at our house. almost everyone we know will be baking something at some point this holiday season. many tables and tummies will be full with lots of treats, but did you know that 1 in 5 kids struggle with hunger in the united states? the good news is that you can help to end childhood hunger this holiday season, and you can make a difference without even having to leave your own kitchen! all you have to do is take a photo of whatever you bake this holiday season; share it on twitter, facebook, and/or instagram with the hashtag #bakeitforward; and nominate a friend to do the same. 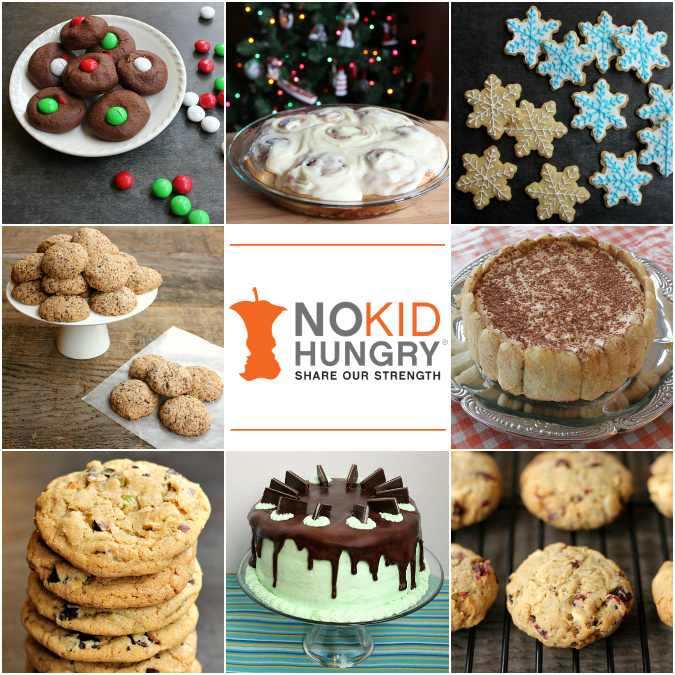 from now through the end of the year, food network will donate $1 to no kid hungry for each photo shared and tagged. $1 goes a long way because $1 donated provides 10 meals! You sparked my appetite. I will have a piece of the Andes mint cake and a piece of the tiramisu, please. Also a cup of coffee. Great cause and great idea to stop hunger.